Wentworth Engineers Training offers consultancy services to companies of all sizes in the engineering & manufacturing sectors, assisting personnel and helping to efficiently lead, manage and submit quality bid responses to secure revenue driving opportunities. 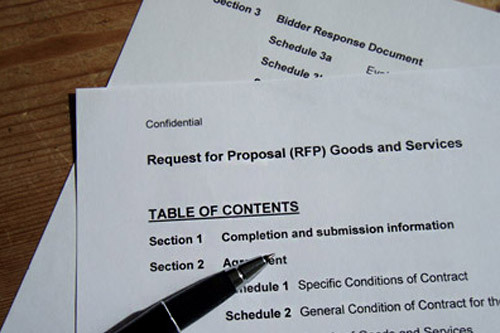 Once a framework or contract opportunity is identified and a Request for Proposal (RFP) is received the bid/tender process can be daunting, time consuming and re-distribute personnel from their regular 'day to day' business function. This is where Wentworth bid development consultancy can help ease the pressure. In a highly competitive sector it's essential to produce professional, compelling and competitive documentation to evidence your company's quality of service and competitive pricing benefits. Knowing how to structure submissions and the right information to include at the outset will not only give you a professional advantage, it can help avoid lengthy tendering processes and ultimately save you time and money. We will help you understand the key attributes to put forward and build powerful and compelling documents or presentations based on winning themes that set your company apart. This will not only help you sell your solution, it will also build the confidence and skills of your personnel to present a submission professionally with clarity, authority and to a distinct competitive advantage. "Having Wentworth help us with our framework bid submissions has made a significant difference. Not only in the professionalism of our responses and the bid management process, but in many other business critical ways. They've enabled us to stay focused on delivering to customers during the process. They have given us the tools and confidence to produce winning submissions and been invaluable in the post tender, interview and negotiation phases."